Washoutis one of the most important processes during screen printing. Based on the customer and market, our company R&D this washout tank furnished with water tank, automatic pressurizing water spray gun and screen frame clapboard, economical, multifunctional, convenient to use. Pallets are fixed on the metal holder, the situation has been set up before selling, you don't need to adjust it. So this will be a good choice for a new hand or someone who want to save cost. 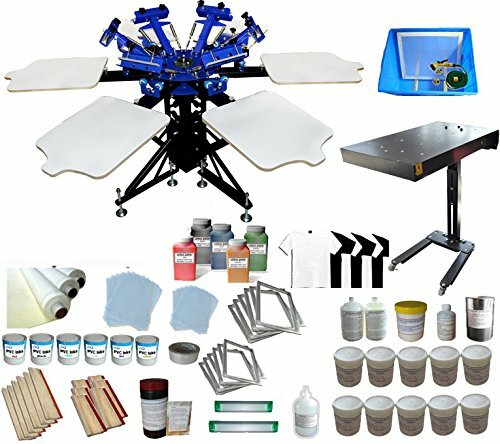 We use a rectangle board on this print equipment, it is suitable to print a large image or plane item. New design metal stand could adjust the height from 28"-35". The installation is also easier than before. Adjustable double-spring devices are available for screen frames of different weight. Screen clamp can be moved up and down, which is suitable for screen frame within 1.2" (3cm) thickness.